Arsenal Come from a goal down to beat Spurs 4-2. 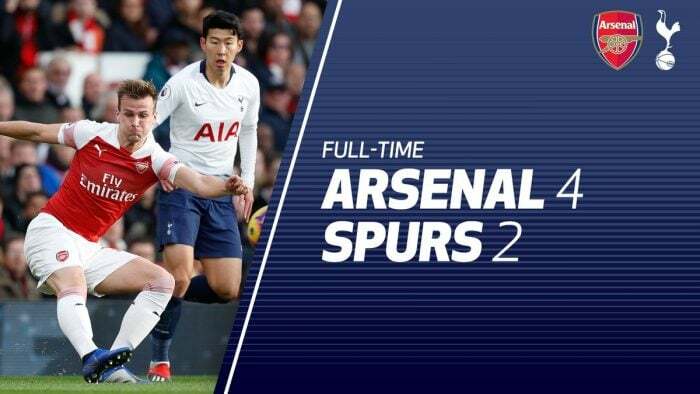 Aubameyangs brace with Lacazette & Torreira Cancels out Eric Dier & Kane’s Spot kick. Download or Watch Highlights Below.